Together with bowel cancer patients, clinicians, political representatives and thousands of campaigners, we’ve been able to make real change happen in 2018. Whether campaigners signed our open letter, wrote to their MP, showed their support on social media or joined us in handing in a petition, it’s all helped us to publicly raise key challenges facing people affected by bowel cancer. If you’ve campaigned with us this year, why not spread the word and let others know about the difference you’ve made and encourage them to join us by filling in this short form? January: We began the year with 4,000 campaigners and ended with over 10,000 – thanks for being with us. February: We held our first ever event at the National Assembly in Wales to launch our Spotlight on Wales report. March: We launched our Time to Test campaign to help hospitals test for a genetic condition, Lynch syndrome. 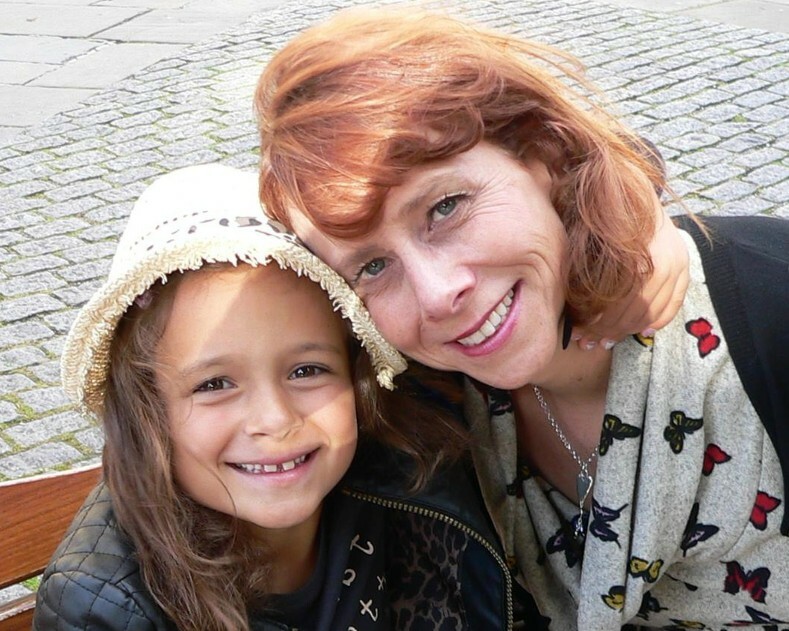 Our amazing supporter Annika shared her story to show the impact this condition has on entire families. 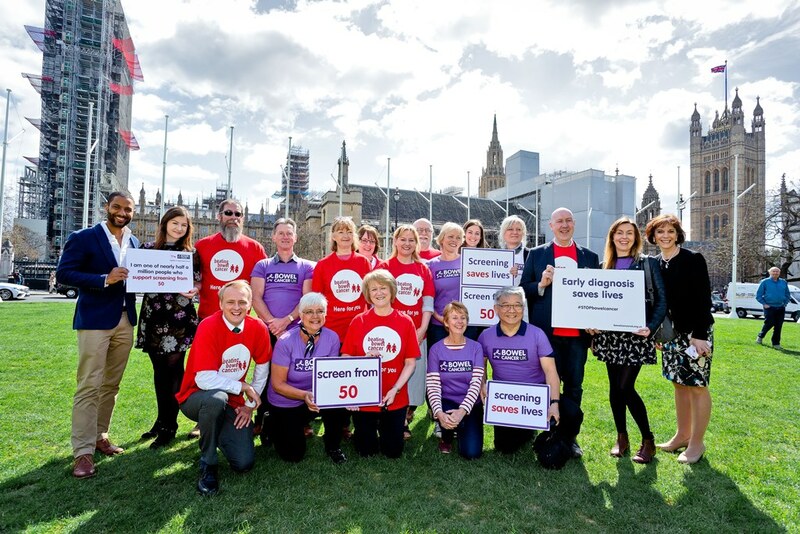 April: In Bowel Cancer Awareness Month, 65 politicians across the UK helped raise awareness of bowel cancer symptoms. May: In England and Wales, politicians raised our priorities in debates on bowel cancer screening in front of their Cancer Minister. Nick Thomas-Symonds MP tells us why in this guest blog post. June: Win! After launching our campaign to tackle long waiting times for bowel cancer tests, the Scottish Government announce funding and a National Endoscopy Action Plan. Read our full response. July: Our Time to Test Summer Challenge saw over a thousand downloads of our new toolkit to help our supporters’ campaign locally. 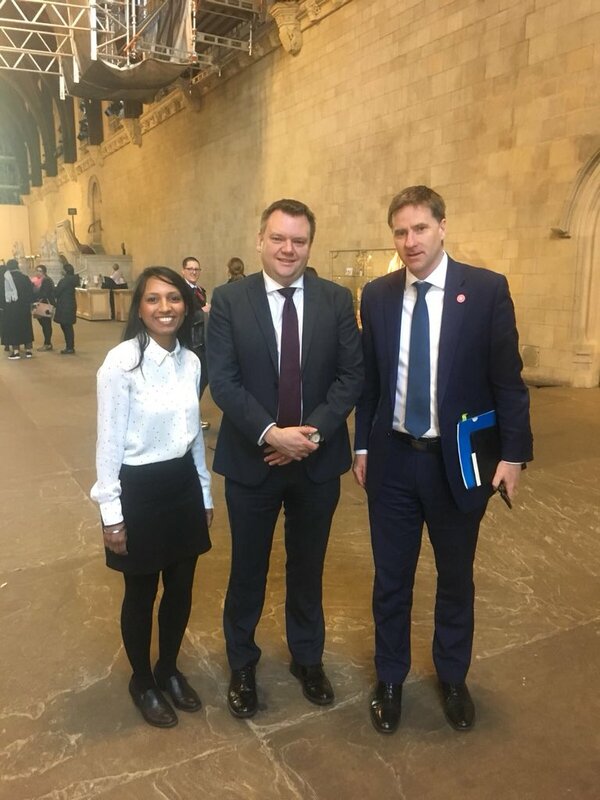 Our CEO also met with the Minister for Cancer in England, Steve Brine MP to discuss improvements to the screening program. August: Win! Together with the amazing campaigner Lauren Backler, nearly half a million petition signers, a partnership with the No Time 2 Lose campaign, as well as celebrities and cross party MPs, we secured a commitment to lower the screening age from 60 to 50. September: With our Screen from 50 win secured, we upped our calls to address NHS staff shortages in our End the Capacity Crisis campaign and published our asks for the NHS Long Term Plan, setting out our priorities for the next decade. October: With the support of over 7,000 patients, NHS staff, MPs and people with loved ones affected by bowel cancer, we handed over our letter to the Chancellor and Health Secretary calling for a fully funded action plan to end the capacity crisis. November: Hundreds of campaigners in Wales wrote to their AMs to press for progress on Lynch syndrome testing. Plus, we held our first ever Supporter Conference where we asked our campaigners to help shape our future. December: NHS England's Long Term Plan was due to be published, but it came out a little later than expected on Monday 7 January 2019. Read our blog to find out what this means for bowel cancer. Thanks for all your support and we look forward to campaigning together in 2019! Although we made great progress in 2018, this year we want to see an optimal screening programme that screens from the age of 50 using the faecal immunochemical test (FIT) across the UK, in line with Scotland and international best practice. The successful implementation of the new, more accurate test across the UK is vital to diagnose more people earlier and ultimately save lives. There also needs to be a clear timetable to increase the sensitivity of FIT and extend the age range in line with diagnostic capacity. 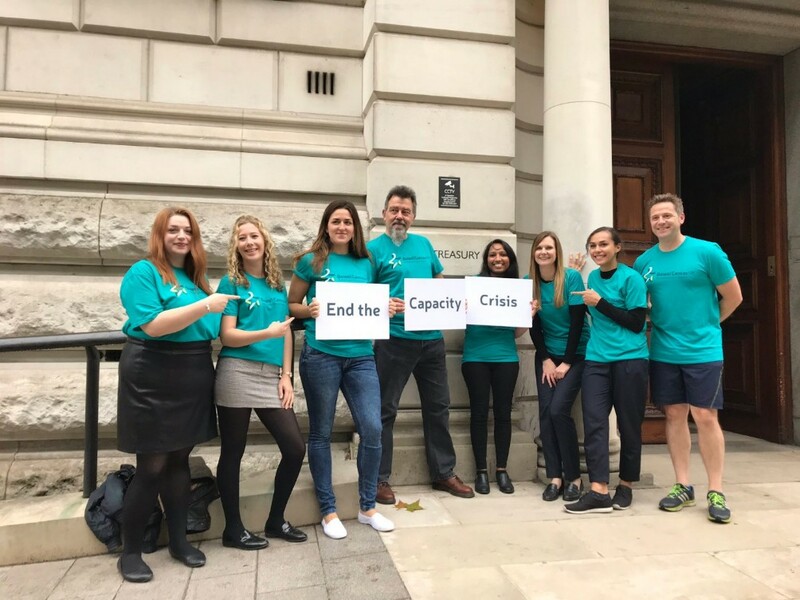 Following the publication of NHS England’s Long Term Plan, it is vital a fully funded action plan to tackle the growing capacity crisis is published as a matter of urgency. This must be comprehensive and set out clear recommendations to: address current workforce shortages; reducing waiting times; and ensure units are of high clinical quality. All bowel cancer patients to be tested for Lynch syndrome, at diagnosis, in line with clinical guidance. A national screening and surveillance programme delivered through bowel cancer screening to reduce the variation in access, quality and timeliness of regular colonoscopy. If you’re not already, become a campaigner and join thousands of people helping us save lives and improve the quality of life of everyone affected by bowel cancer. Read our blog to find out more about what campaigning is and how you can get involved.